The latest beer from Granbury’s Revolver Brewing is called Long-Range Pils, and for good reason. A German-style Pilsner—and the brewery’s first ever lager—this lighter, easy-drinking beer is built to go the distance. 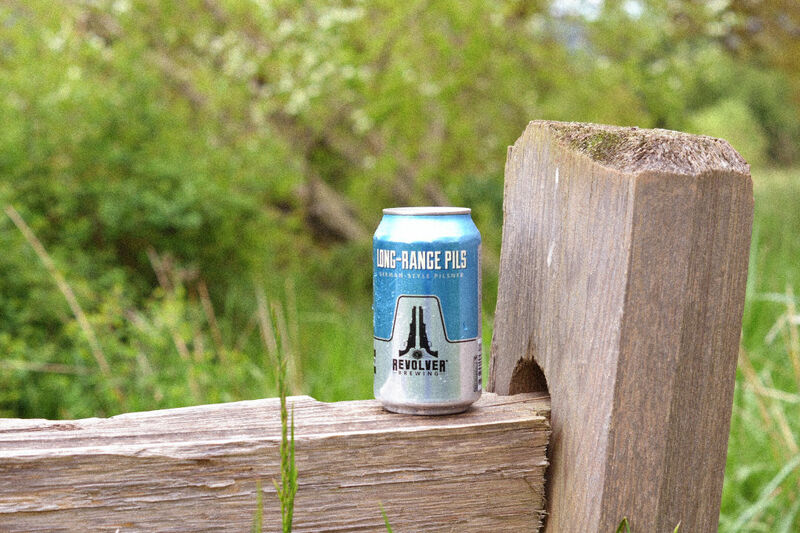 Whether your summer adventures take you to the foothills of Big Bend or the pool in your buddy’s backyard, Long-Range Pils is the perfect beer for enjoying the outdoors. And while mere drinkability seems to be the finish line for most light lagers, Long-Range Pils goes the extra mile, with a focus on well-balanced flavor and rooted in brewing tradition. Crafting a great pilsner begins with the malt. For Long-Range Pils, Master Brewer Grant Wood started with Czech-grown Bohemian grains malted at the historic Weyermann Malting in Bamberg, Germany. This malt adds depth to the flavor profile, along with a subtle sweetness that balances nicely with the hop addition. For added complexity, the malt bill includes a blend of three barley varieties – Metcalfe, Meredith, and Copeland. Water, of course, plays a critical role in any brew. The water used for Long-Range Pils comes straight from the aquifer beneath the brewery and has the same softness found in the water of Pilzen, Czech Republic, where the pilsner style was first developed. When selecting hops, Grant Wood again looked back to the historic brewing practices. Czech Saaz, a staple in pilsner beers, brings a classic noble hop character. German Saphir adds an elegant soft bitterness and hint of grassy notes. Lastly, Wood added American Mosaic, whose subtle fruit character adds a New World twist to this Old World style. The yeast selected for Long-Range Pils sticks closely to tradition. A bottom-fermenting Bavarian lager strain originating from Weihenstephan, Germany—home of the world’s oldest operating brewery which opened in 1040. This strain is famous for it’s clean fermentation, crisp flavor and subtle balance of floral and fruit aromas. So, if you’re a fan of pilsner beers, here’s a new one you should try. And if you’re not a fan of pilsner beers, Long-Range Pils might just change your mind. A quality lager built for drinking and enjoying, it’s like a shade tree in your hand — the perfect outdoor beer for Texas.